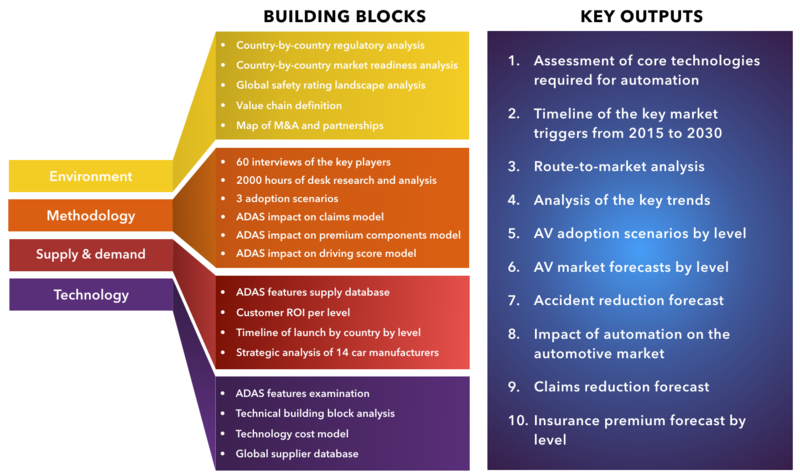 The entire motor industry is currently engaged in either making automation happen or devising strategies so that automation does not blow them off the map. 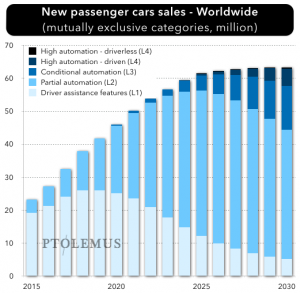 At stake is much more than the future of the automotive market. 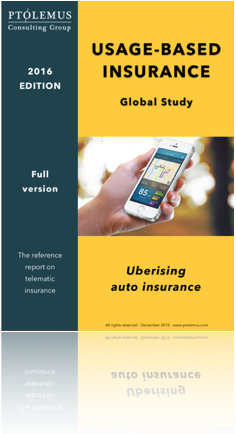 Full vehicle automation could see huge numbers of jobs made redundant, change the way insurance is bought and sold and lead to a radical change in the way people commute and travel with wide ranging societal implications, fuelling excitement, but also fear and resentment. 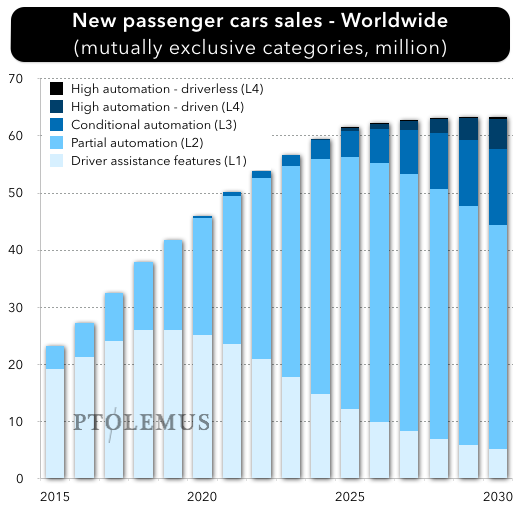 The critical question today is not IF full automation will happen, but WHO will be first to sell it. 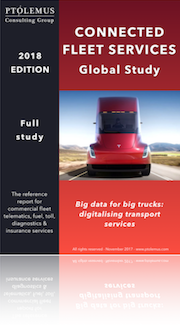 the most thorough investigation of automation’s benefits, timings, technical and regulatory requirements, ramifications for stakeholders across the mobility services ecosystem and many other factors. 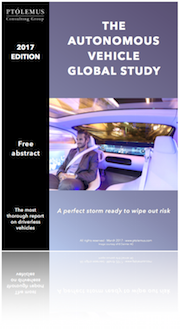 Download the free abstract or the full report by filling in the form below. 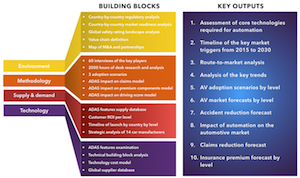 The Autonomous Vehicle Global Study 2017 is by far the most detailed analysis of the impact of automation on the mobility ecosystem as a whole. 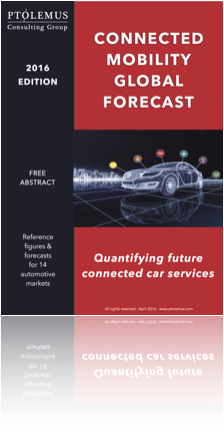 analyses the key trends and displays the methodology used to quantify them. A team of 10 analysts with different backgrounds and skillsets worked on the study. 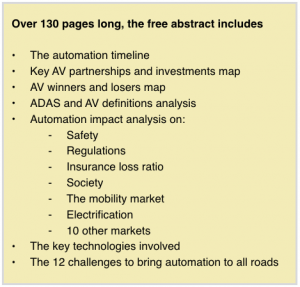 To give you a flavour of the density and scope of the Autonomous Vehicle Global Study, we are sharing its first section including the executive summary with some of the core findings. 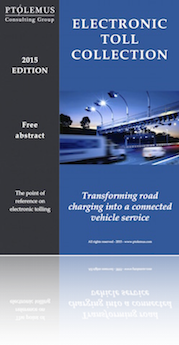 This 130-page abstract is only a small fraction of the full document.